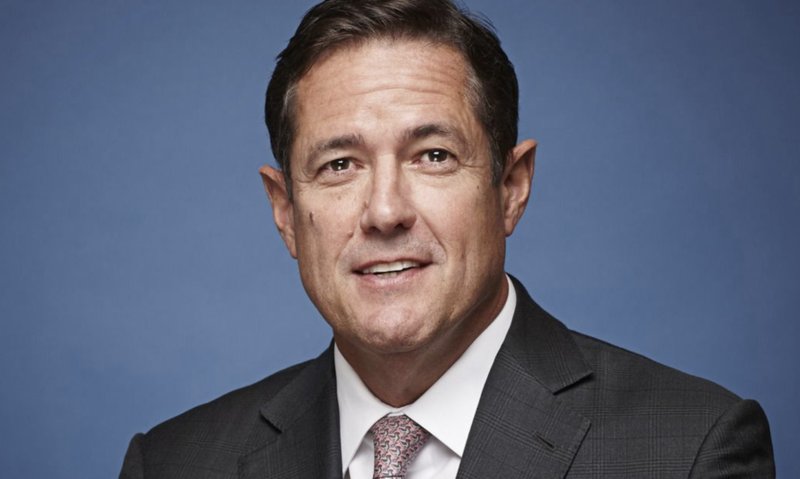 Barclays CEO Jes Staley took a few days off from his battle to save Europe's last functional global investment bank to travel to Davos this week, where he participated in a handful of interviews with Bloomberg and CNBC, and offered an interesting - if slightly self-serving - prediction about whether the unprecedented levels of debt rattling around the global financial system will result in another crisis like what happened ten years ago. While he believes another great financial crisis is more or less inevitable, Staley insisted that, this time around, his industry wouldn't be the cause. In fact, it might just be a buffer against the worst of the fallout. Because global banks have shrunk their balance sheets since the crisis (largely at the behest of regulators), they could end up shielding the global economy when credit markets - which have been fueled in part by non-bank lenders (i.e. shadow banks) - seize up. "This time, there’s a chance the banks will be the buffer, as opposed to the cause" of the crisis, Staley, who has been the British bank’s chief executive officer since 2015, said in a Bloomberg Television interview with Francine Lacqua from the World Economic Forum in Davos, Switzerland. Echoing a warning that has been featured in these pages more than once (and as recently as last week when we wrote that "An Unexpected Development Could Crush The Leveraged Loan Market"), Staley cited the flow of credit into collateralized loan obligations as a sign of the growing risks in the credit market, and pointed to the freeze-up in high-yield issuance in December as an indication of what a future "credit shock" could look like. But destabilizing credit risks aren't confined to corporate balance sheets. The growing sovereign debt burden could also become a problem. “If that had extended into the first quarter, that itself would have created a potential credit shock," he said. "There were a lot of companies that need to roll them over." As well, "there is an extremely high amount of debt in sovereign balance sheet" on the back of historically low interest rates, he said. Moving on to another topic du jour in the European banking space, Staley dismissed mergers as a "panacea" for struggling European banks (see: Deutsche Bank). When it comes to fixing DB, Staley said he is confident that Christian Sewing, the bank's relatively recently installed CEO, is doing the right thing by taking a considered approach to the bank's problem areas. GC: Just-, just give us a line on Deutsche. What should happen to this bank? JS: You know, ah-, you know, I know Christian, I-, I think he’s doing the right things, I think he’s a very talented executive, I think they’ve recapitalised the bank, they are moving the bank towards-, towards profitability, and-, and-, and as Christian has said, you know, let’s get Deutsche organised, and in the right place, and then let’s think about what other options there might be. As was perhaps inevitable, when asked about Brexit, Staley declined to speculate about the fate of Theresa May's withdrawal deal, saying only that, whatever happens, we likely won't know until the very last minute. GC: As an issue that they’re worried about, and how are you answering, given that we still seem to be in this purdah, waiting for Parliament to come up with some rational direction of travel? JS: We have always said-, the nature of politics is, this will not be resolved until the very end. Staley has been fighting activist investor Edward Bramson, who is trying to leverage his 5% stake in Barclays to push the bank to kill off its investment banking operation (which it famously purchased from Lehman Brothers out of bankruptcy) and focus on its retail banking and credit card business. When asked, Staley brushed aside concerns about Bramson's activism, accusing the activist of not clearly articulating his vision for the bank, while asserting that Barclays remains ready to work with him when and if he is ready.